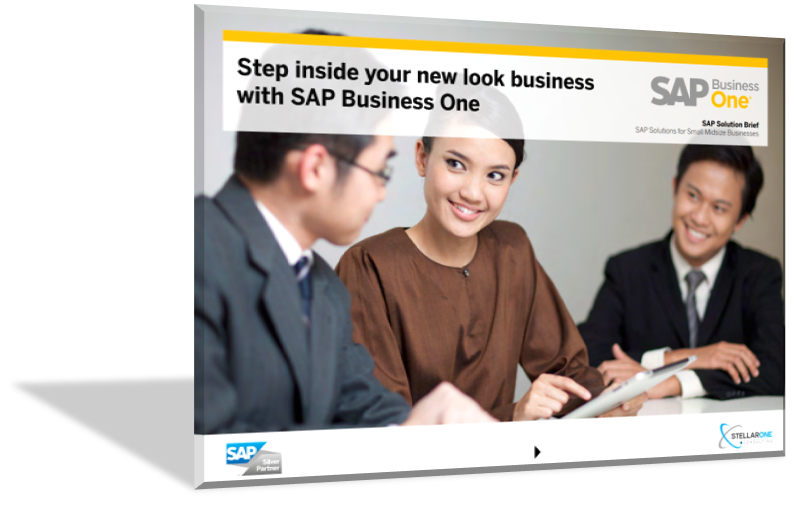 A library of content compiled to help you learn more about running your company with SAP Business One, in total privacy. Access our free downloadable content without giving us anything for it, not even an email. You're an adult. If you want to schedule a meeting, you can always do that right here. We know that your search for technology solutions, and your selection of the right SAP Partner, are incredibly critical to your company's ability to be competitive and sustain growth well into the future. We hope you find these helpful. If you have specific questions you'd like to ask, you can chat with us using the button in the bottom right-hand corner of this page. 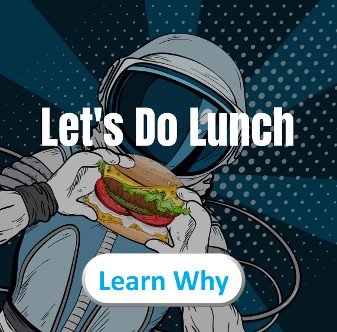 If your business processes are manual, overly-complicated, and not integrated across departments, then you're probably looking for some technology to solve these problems for you. SAP Business One can produce the digital transformation your company needs in order to outpace, outmaneuver and outlast your competitors. 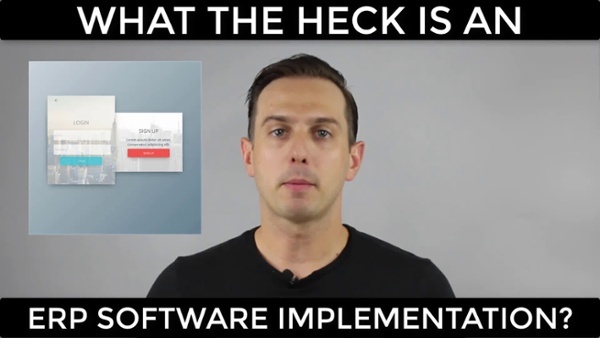 Video: What the heck is an ERP software implementation? The SAP Business One Cloud solution provides you with all the integrated business management functionality of the SAP Business One application. The cloud-based solution helps you to streamline processes and increase visibility to improve operational efficiency and decision making, while helping you manage your IT infrastructure with minimal investment. Learn more about the solution by clicking the button below now. Growing rapidly while remaining operationally efficient can be a very difficult feat to accomplish. In fact, most companies never experience it. To get this done, our client really needed us to understand their business on an intimate level and then be able to do something about it. 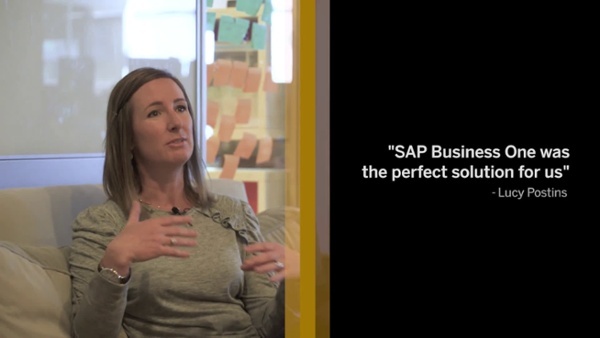 Learn more about how Stellar One Consulting configured SAP Business One to help our client achieve double-digit growth without having to double their headcount. Proactively meet customer and supplier demand with SAP Business One for wholesale distribution. Improve everything from demand planning to inventory and supply chain management - and run flexible, tightly integrated processes to achieve operational excellence. Give consumers the products, information, and personalized experiences they want - across any channel - with SAP Business One for retail. Harness real-time customer and point-of-sale insights, engage shoppers, and optimize everything from merchandising to your supply chain. It can be pretty frustrating to feel like you're not using SAP Business One to it's full potential. It can be even more annoying when you realize that it isn't the software that's holding your back, but rather the "experts" you hired to help you leverage the technology to its full capacity. 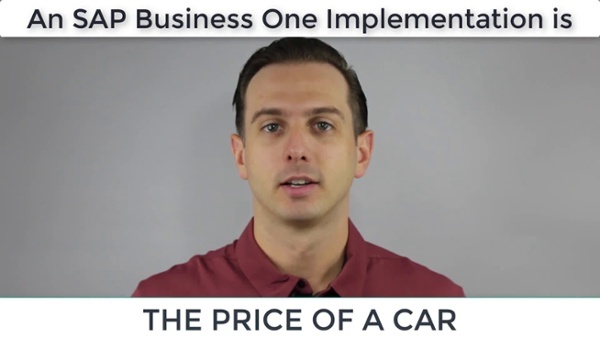 Learn about one of our rescue missions where we re-implemented Business One to take our client's performance to the next level. With the SAP Business One version for SAP HANA (SAP's in-memory database), you can instantly analyze growing volumes of data and gain the benefits of fast application performance without complicating your IT landscape. And with embedded analytics and high performance apps, you can understand your growing business like never before. There comes a point in the growth of every company when the sheer volume of transactions can render your current financial management tools obsolete. Business One's accounting functionality will be an absolute game-changer for your company. In this guide, you'll learn more about the benefits of managing your company's financial operations with SAP Business One . Offering functionality from the planning phase through to control, implementation and fulfillment, SAP Business One provides efficiency and flexibility to become the ultimate global solution for small and mid-sized manufacturing companies. 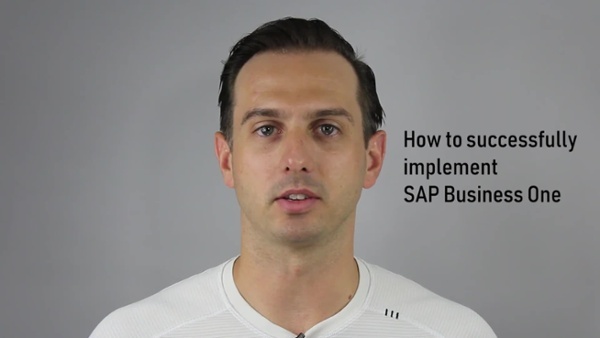 Video: How much does it cost to implement SAP Business One? Do you have service technicians or representatives in the field? SAP Business One Service Mobile App allows you to provide on-site services for customers by easily and efficiently reviewing and resolving assigned service tickets. This mobile app streamlines your job management in the field; it's very easy to set-up, extremely user-friendly, with very affordable license options. Deliver consistent, high-value services to your clients with SAP Business software for professional services and consulting firms. Establish a repeatable process for service delivery - and improve resource planning, project management, billing, and more. Once you're convinced of the value we can bring to the table with SAP Business One, take the next step.